Bright amber color. Aromas of vanilla, pecan pie, chocolate glaze, and candied banana with a velvety, crisp, dry-yet-fruity light-to-medium body and a hot, medium-length chocolate coated toffee, caramel corn, and candy apple finish. A solid bonded bourbon for any occasion. 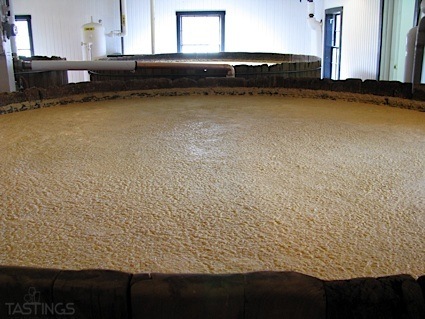 Bottom Line: A solid bonded bourbon for any occasion. 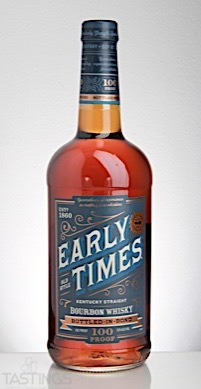 Early Times Bottled in Bond Bourbon Whisky rating was calculated by tastings.com to be 92 points out of 100 on 9/19/2017. Please note that MSRP may have changed since the date of our review.